All teams in the Carlton Area Hockey Association are considered to be traveling teams. Games will be played both at the 4 Seasons Sports Complex "Home of the Carlton Bulldogs" as well as travel to other venues within a relatively close proximity to Carlton. Who is a Mini Mite? A mini mite is for all beginning skaters or for players whose abilities are not strong enough to be successful at the Mite 1 level. Skaters turning four years old on or before June 30th of the current calendar year are eligible for Mini Mites. Coaches will evaluate the player’s skill level during the first month of Mini Mites. 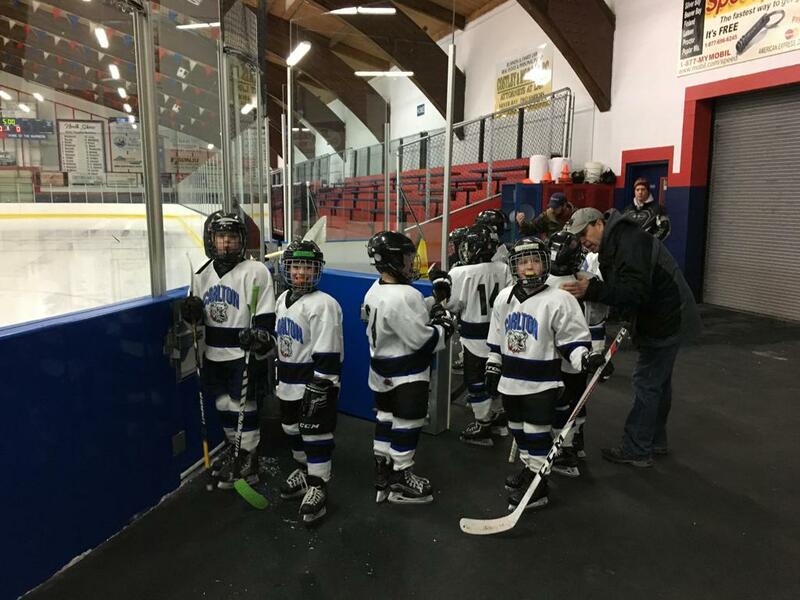 If at anytime during the first month, the coaches and Director of Player Development feels a skater can be successful at the Mite 1 level a player can move up to the Mite 1 level with the parent’s permission. Parents can not request their skater move up. To develop basic skating required for the mite 1 level. To give new skaters more puck time with skaters of similar abilities to promote faster development. Mini Mites will have scrimmages with other Mini Mite programs. The scrimmages will provide in game experience to prepare Mini Mites to compete at the Mite 1 level. Mini Mites will start practice in late October. Mini Mites will practice for one hour a week in Carlton during November/December and have one hour of practice or scrimmage time a week starting in January. Practices will follow ADM guidelines. Practices will be combined with Esko for November/December to keep cost low for both associations and to have more coaches available to help new skaters. We will host a one day Mini Mite jamboree in February.